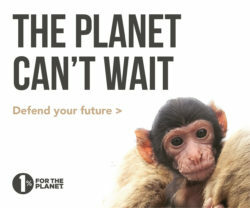 When is a tree more than just a tree? For the Highway of Heroes (HOH) Tree Campaign, the answer is when it honours Canada’s fallen heroes. The Campaign will be planting two million trees between Trenton and Toronto, Ontario – one tree for every Canadian that has served during times of conflict since Confederation. Of those, 117,000 will be planted along the stretch of the 401 known as the Highway of Heroes, representing a unique and powerful way to tell the story of those who’ve served and to remind highway travellers of the great debt owed to these courageous Canadians. 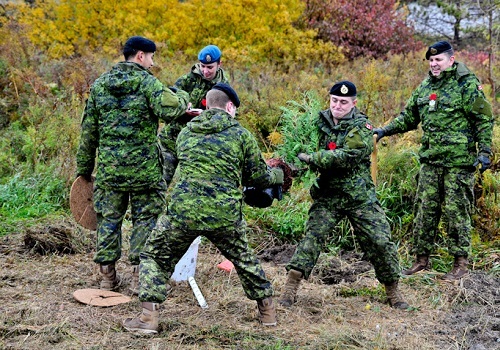 In line with that mission, on November 2, the HOH Campaign planted 300 trees with the help of uniformed officers from the Canadian Armed Forces and local volunteers at Intrepid Park in Whitby— the former site of Camp X, the legendary secret paramilitary training installation for covert agents during the second world war. Some of the volunteers at the auspicious event were Aeroplan employees, part of their larger commitment to HOH and its efforts. Over the summer, Aeroplan donated 500,000 miles towards the Campaign and their partner Avis matched with another 500,000 miles. What’s more, Aeroplan asked their Members to donate too and they came through in a big way. In fact, thanks to member donations and matching by Aeroplan and Avis, over 1.4 million miles were donated to HOH. “We are proud to once again partner with Avis to support the Highway of Heroes Tribute Project,” said Jennifer Jones, vice president of travel, retail and strategic development at Aeroplan. 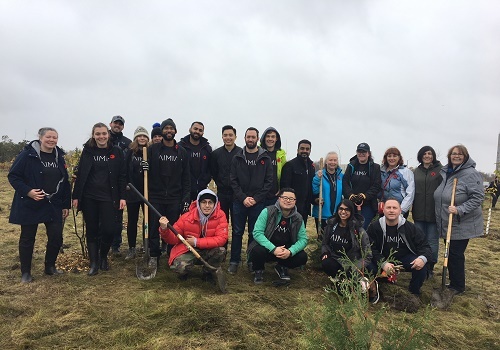 “We had many employees come out today to help plant trees and earlier this year, we asked Aeroplan Members to join us in supporting this worthy cause and they came through,” she added, explaining that donated miles will be used to bring the loved ones of fallen heroes to events like these, helping to honour them. The recent event was a real success, helping to establish a living memorial to honor those who sacrificed their lives while serving their country. Cullen opened the tree planting ceremony by recognizing Frank Cowan Company, Aeroplan, Avis and the Town of Whitby for their amazing support. The event also featured remarks from Larry Ryan, President of Frank Cowan Company, Leslie Lorette, Regional Manager, Global Partnerships & Travel, from Avis and local dignitaries, including MP Celina Caesar-Chavannes, MPP Lorne Coe, Mayor of Whitby Don Mitchell and Durham Regional Chair Elect, John Henry. Attendees were invited to tour the grounds after the ceremony and learn more about the historic Camp X.